Getting married? Looking for a wedding planner to ease your job? Then you're at the right place - Get the best wedding ideas from Brite Entertainments. Make your special day even more special and unforgettable by planning it with us! We are the most contemporary wedding planner and management company. We also provide wedding consultation & wedding design services. Trained team of wedding planners come up with fresh ideas, innovative styling & creative inputs to pull your dream wedding together. We will present you the most appropriate locations, vendors and caterers for various cuisine as per your budget and requirement. Also you need not worry about the photographer or a choreographer for any event, we look after that. 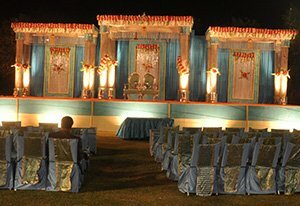 Our decoration team has got vast experience in this field and comes up with different ideas according to your specifications. We make sure your event is spectacular & remembered for a long time by your guests and save you from all the stress associated with wedding planning so that you can actually enjoy with your friends and family! At Brite our dedicated team works closely with the bride, the groom and their families to plan a wedding that is according to your wish and unique in its own way. Whether you opt for a close intimate wedding, a large-scale big fat wedding , a theme wedding or even an exotic destination wedding, we make it a point that your D-day is the most special and memorable day of your life. We know that you're putting full faith & trust in us for one of the most important days of your lives. This idea never abandons us and this is the motivation behind why we give our absolute best to every single wedding.